Mumbai: Mumbai University’s Garware Institute of Career Education & Development, Kalina Campus has organized a mega Blood Donation camp during the occasion of its 34th Foundation Day celebration. Professor Anil Karnik, Director of the autonomous GICED institute invited many eminent people for the said occasion. 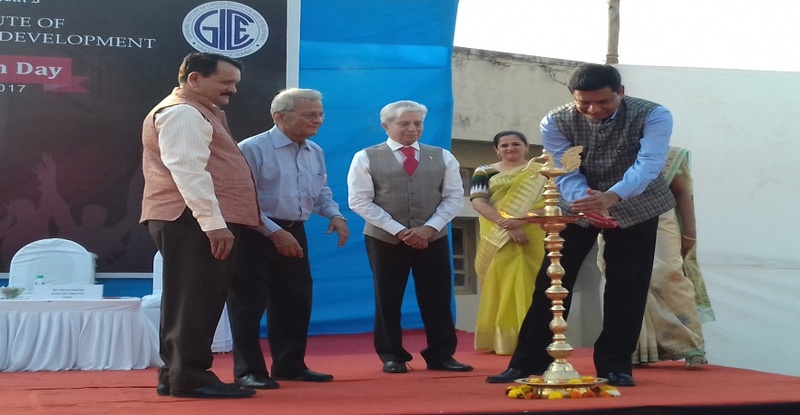 Dr. Devananda Shinde, Hon’ble Vice Chancellor of the University inaugurated the program and praised Garware Institute for arranging various social welfare activities during education. Ms Shilpa Borkar, Asst. Director & Placement Officer, Garware Institute told, we have organized various indoor, outdoor and cultural events among the students through out the function and also felicitated the last year student toppers in various depts. Dr Parag of Kooper Hospital, Mumbai and his team along with staffs of Garware Mr C.V.Apte, in Interior Design, Mrs Shubhra Nayak in Retail Management & Film Making, Mrs Kanishka Goraksha in Pharma Management, Mr. Shekhar Sartandel, eminent Film director and the course coordinator of Film Making Dept, along with all staffs of Garware Institute motivated the students to take part in various events.Prof. D. Harichandan, Director, Institute of Distance Education(IDOL), Kalina Campus, said, am extremely happy about the Blood Donation Camp organized by Garware for social cause, it will be a very good message for the students in their educational career, by donating blood many poor and needy patients life can be saved during their emergency. Prof. Karnik, Director, GICED said, we are very happy to say, this year we have collected century number of blood packets, students of Kalina Campus motivated by all the volunteers, especially, Dr. Bijay Maharana, National Youth Award winner, Govt. of India, presently joined as a student of our Film Making Dept. did really hard work by inspiring everyone through out the camp, sponsored T-shirts for which this year foundation Day was a grand success.